Để có báo giá chi tiết và khuyến mãi tại thời điểm mua, khách hàng vui lòng liên lạc với PACISOFT qua sales@pacisoft.com hoặc Hotline. GIẤY PHÉP: Theo Node; GIAO HÀNG: Download software (Tải xuống từ Mcafee.com). McAfee Endpoint Threat Protection cung cấp các tính năng tích hợp phần mềm chống malware, tường lửa, điều khiển thiết bị, bảo mật web và email để bảo mật thiết bị đầu cuối cần thiết và quản lý tập trung. 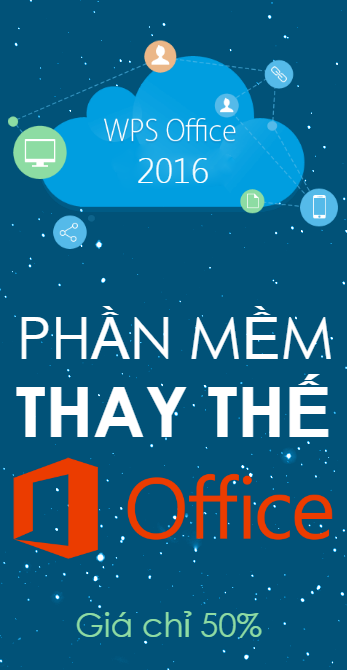 Nó cho phép quản trị viên bảo vệ người dùng trên các môi trường Windows, Mac và Linux khỏi phần mềm độc hại và các mối đe dọa zero-day và ngăn chặn các thiết bị kết nối với trang web trái phép. SẢN PHẨM GỒM: McAfee Endpoint Security (ENS) multiplatform (Windows,Mac, Linux), McAfee Security for Email Servers, McAfee Device Control and McAfee ePolicy Orchestrator (on-premises). Bao gồm các sản phẩm cho khách hàng cũ: VirusScan Enterprise, VirusScan Enterprise for Linux, Endpoint Protection for Mac, VirusScan Command Line, SiteAdvisor Enterprise with Web Filtering, Endpoint Intelligence Agent, Desktop Firewall. LƯU Ý PHẦN GIỚI HẠ - RESTRICTIONS: Limited to customers with less than 2,000 total nodes for new business and competitive displacements. Larger customers should purchase CTP. Endpoint Threat Protection is not optimal for server environments. Customers should purchase a Server Security SKU for McAfee Endpoint Security for Servers and optimized deployments in physical, virtual, and/or cloud server environments. For further exceptions please refer to the McAfee Quoting Handbook. LICENSE: Per Node. DELIVERABLE: Software download. McAfee Complete Endpoint Threat Protection provides integrated antimalware, firewall, device control, web and email security along with advanced threat containment and machine learning analysis for greyware, ransomware and 0-day threats. It prevents, contains and hunts behaviors of threats, protects users on Windows, Mac and Linux environments, prevents unauthorized devices, applications, connections and websites, from being accessed. RESTRICTIONS: McAfee Complete Endpoint Threat Protection is not optimal for server environments. Customers should purchase a Server Security SKU for McAfee Endpoint Security for Servers and optimized deployments in physical, virtual, and/or cloud server environments. For further exceptions please refer to the McAfee Quoting Handbook. LICENSE: Per Node. DELIVERABLE: Software Download. PRODUCT INCLUDES: McAfee Endpoint Security (ENS) multiplatform (Windows, Mac, Linux), McAfee Security for Email Servers, Device Control, Policy Auditor for Desktop and McAfee ePolicy Orchestrator (on-premises). Includes the following legacy products: VirusScan Enterprise, VirusScan Enterprise for Linux, Endpoint Protection for Mac, VirusScan Command Line, SiteAdvisor Enterprise with Web Filtering, Endpoint Intelligence Agent, Desktop Firewall, Host Intrusion Prevention for Desktops. SẢN PHẨM GỒM: McAfee Endpoint Security (ENS) multiplatform (Windows, Mac, Linux) including Adaptive Threat Protection module with Dynamic Application Containment and Real Protect, McAfee Security for Email Servers, Device Control, Drive Encryption, File & Removable Media Protection, Management of Native Encryption, McAfee Security for Microsoft SharePoint, VirusScan Enterprise for Storage, McAfee Application Control for PCs and McAfee ePolicy Orchestrator (on-premises). PRODUCT REQUIRES ENS VERSION 10.5 INSTALLED FOR COMPLETE FUNCTIONALITY. RESTRICTIONS: Limited to customers with less than 2,000 total nodes for new business and competitive displacements. CEB upgrades only available for up to 2,000 nodes. Larger customers purchase CTP. McAfee Complete Endpoint Protection – Business is not optimal for server environments. Customers should purchase a Server Security SKU for McAfee Complete Endpoint Protection – Business for Servers and optimized deployments in physical, virtual, and/or cloud server environments. For further exceptions please refer to the McAfee Quoting Handbook. LICENSE: Theo Node. GIAO HÀNG: Tải về. McAfee Endpoint Threat Defense uses reputation analysis and machine-learning to prevent both known and unknown threats from executing on the endpoint. It synthesizes local and vendor supplied reputations to allow security administrators to tailor vendor-supplied reputations to their company’s environment. PRODUCT INCLUDES: Threat Intelligence Exchange Server (VM), ENS Adaptive Threat Protection module (including Dynamic Application Containment and Real Protect), Data Exchange Layer (DXL) components and McAfee ePolicy Orchestrator (ePO). PRODUCT REQUIRES: The separate purchase and installation of McAfee Endpoint Security (ENS) 10.5 or greater. NOTE: Limited to customers with less than 1,000 total nodes for new business and competitive displacements. LICENSE: Per Node. DELIVERABLE: Download. McAfee Endpoint Security for Mac provides complete endpoint protection for Macintosh endpoints; AntiVirus, anti-spyware, firewall, application protection for system lockdown. PRODUCT INCLUDES: McAfee Endpoint Security (ENS) and McAfee ePolicy Orchestrator (on-premises). LICENSE: Per Node. DELIVERABLE: Download Only. PRODUCT CONTENT: Enterprise compliance solution for File Integrity Monitoring (FIM), audit trails, and preventing unauthorized changes within an operating environment. LICENSE: Per Node. DELIVERABLE: Download Only. PRODUCT CONTENT: Application Whitelisting and Memory Protection targeted for desktops that need to be locked down and protected. This product cannot be sold on embedded systems and devices such as ATMs, POS, medical or other fixed-function devices and servers. LICENSE: Per Seat. McAfee’s 10th annual security conference in the United States will be held October 17th thru 19th at the Aria Hotel Las Vegas. This event will feature multiple days of keynotes and breakout sessions from leading security experts on today’s most critical security challenges. Topics run the gamut — from network security and data protection to securing the cloud and the emerging threat landscape. McAfee leaders and key partners will unveil product strategies and provide customers with innovative ideas to help them protect their critical assets and sensitive data. Visit http://mpower.mcafee.com for more information. Travel expenses are not included. To qualify for Early Bird pricing, orders must be placed at McAfee by July 31. Effective August 01, all orders must include standard pricing.